Using this drill reamer blanks, the clients can create cooling holes, grind different diameters in seconds and perform several other metalworking tasks. This rotary cutting tool is available in different types, from flats, keyways, straight or helical flutes, spiral flutes, straight or angled coolant holes, stepped diameters, to centers and PCD pockets. 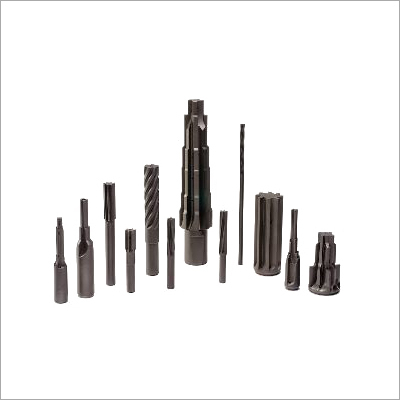 The clients can purchase the complete set or order one or more than one type of drill reamer blank for their specific application. The production personnel carefully develop each batch considering the product's material, finish/coating, diameter tolerance, overall length, size and tolerance. The global clients trust our firm for these tools, because of its toughness, high degree of accuracy, smooth surface finish, and ling life.